If you’re planning up a regional or nearby international trip, it would be advisable for you to charter for an Embraer Phenom 100. This stylish and sleek aircraft is part of the Very Light Jet (VLJ) category. Its passenger seats and interior details have been seamlessly designed, so you’ll feel comfy as you appreciate the aerial views which you’ll be flying over. While most light and short range aircrafts usually don’t have enough space to cater for luggage, this aircraft has sufficient space for your necessities. During your hour-long trip, you’d be delighted to find how this aircraft has included details to ensure convenience for its passengers. These include coasters for drinks and a port for your laptop. To make the most of your upcoming trip on this aircraft, it’s best to ask of its list of facilities from the operator. Know more about the specifications of the Embraer Phenom 100 and charter for your very own, private flight on this plane today. As you hop aboard and see the Embraer Phenom 100’s interiors, you’ll find it has a modern design compared to other jets. It has clean and inviting interiors you’ll feel even more relaxed throughout your flight. Another standard feature of this plane would be the WiFi connection. With internet access you can stay in touch with your friends, family and professional networks even while flying. The same feature is also quite helpful for business travelers on their way to their meetings. They can send instant messages to their staff members or refer to the statuses of their projects, based from an online management app they’re using. 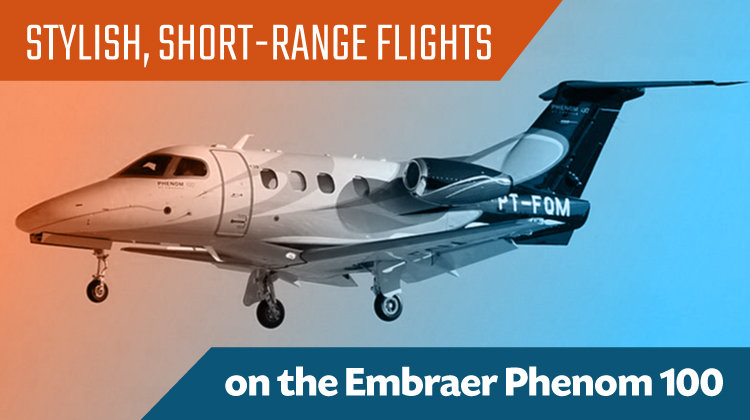 The Embraer Phenom 100 is also your ideal aircraft for 1 hour flights or so. If you’re coming from Toronto, Canada, this plane can fly you to as far as Newfoundland and Labrador, Florida, USA or Texas, USA. If you’ll max out the flying range of this jet, it would be safe to inquire about its allowable passenger count and luggage weight. Generally, a much lighter jet can fly you to much farther destinations at much faster paces. 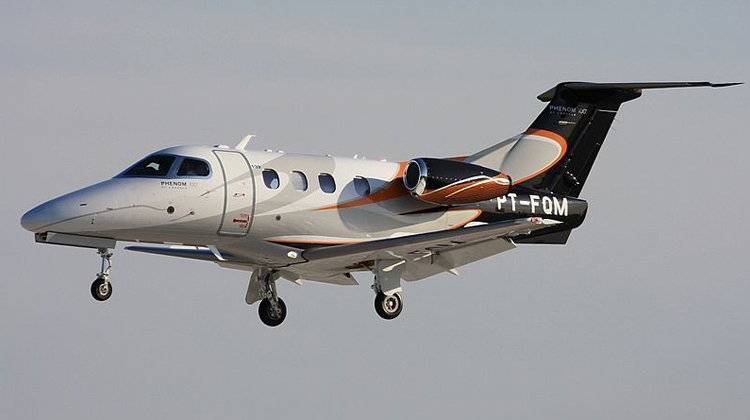 Manufactured by Brazilian company Embraer, the Embraer Phenom 100 took on its first flight in 2007. This Very Light Jet has over 340 units being flown around the world, with 3 variants which had component upgrades to fit their corresponding applications. Some of its major operators come from the United Kingdom and Pakistan. The Embraer Phenom 100 is also known to be comparable with other top jets, Cessna Citation Mustang, Cessna Citation M2, Eclipse 500 and Honda Jet.